There are unique elemental powers concealed in the gems and jewels. We can even call them the divine powers. This is almost universally accepted. About the ambers, it said that the jewels have been made of the tear-drops of Greek god. According to the popular belief in the West, the amber cures one of rheumatism. In Germany, garlands of amber are hung around the necks of infants, so that their teeth might come out without much trouble. In Turkey, people fix a piece of amber in the hubble-bubble, dogged by an age old belief that the presence of the jewel would destroy all the germs and no disease would spread, even after many have dragged their puffs from it. In Greece, people think if wine is poured into the cups made of amethyst, one does not get drunk after drinking that. In India also, lockets made of silver and studded with pearls are hung from the necks of the children to save them from any bad effects in the element. For, if the Moon becomes weak, the new-born baby and its mother both run the risk of dying early. It is believed in Astrology that the Moon works like a strong mother protecting every new-born baby against all evil effects in the nature. The Greeks still believe, if women wear the blue sapphires on person no sense of immorality would pollute their mind nor can any fear of the supernatural images can trouble them. Once, the Pope Innocent III had circulated an order asking all the priests wear blue sapphire, so that morality can be strengthened. The belief still rules their order, it is said about the turquoise, that when the stone changes its colour into yellow, it actually signals bad times to the person who wears it. It is also believed that a turquoise gifted to a friend or a lover turns his or his life into one of happiness and good luck . 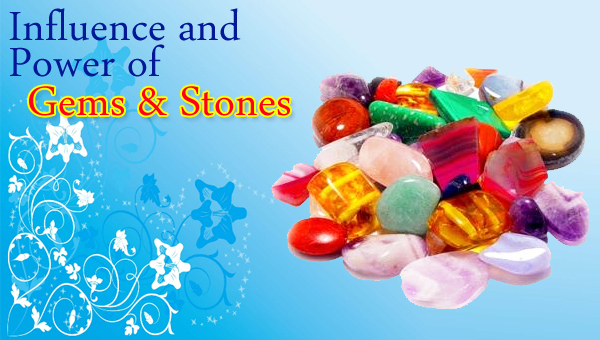 There are many such instances about the popular beliefs and practices on gems and jewels, which if written down would perhaps turn into a voluminous book.